The KU Libraries has one of the most extensive Japanese language collections in the mid-west. The collection covers a variety of subjects, but it is particularly strong in the fields of history, art history, literature, anthropology, film, popular culture and both classic and contemporary literature. We are also known for collecting Japanese pop culture materials, such as tokusatsu (special effect) movies and comics. 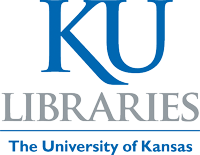 KU patrons as well as local residents in Kansas are all welcome to use our collection. For those who are studying Japanese language, we provide a list of selected reading materials as well as texts for JLPT (link to this page, https://guides.lib.ku.edu/c.php?g=95189). For more information, please contact Michiko Ito, the Japanese Studies Librarian.